You know that webinars are an amazing source of new leads and clients for those who use them. But when you think of the process of creating one, you might feel overwhelmed with all the details. 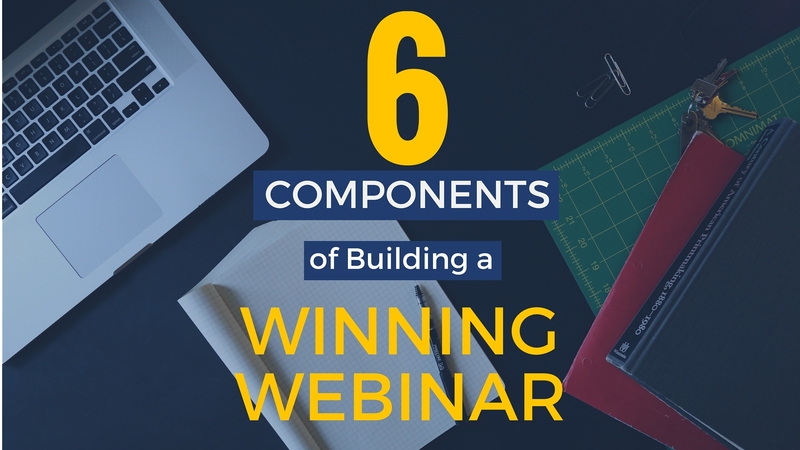 What’s the right way to construct a webinar? What type of webinar should you hold? How do you get people to show up? What’s the best way to get people to say ‘yes’ during the webinar? What about afterward? It can be intimidating because there are a lot of moving parts. But if you follow the right framework, building a webinar that converts doesn’t have to be a gigantic, overwhelming task that gives you a raging webinar migraine and makes you want to scrap the whole project. The right framework can turn that overwhelming task into a much simpler… even enjoyable process. So if you’re one of those webinar migraine sufferers, chin up. 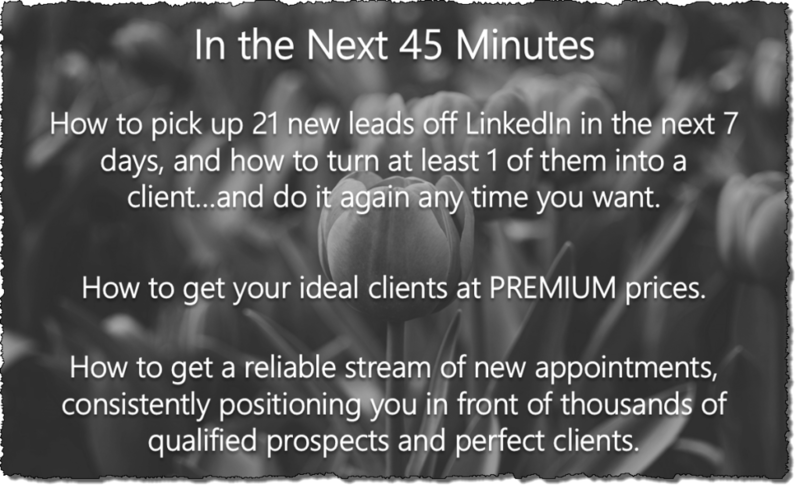 Pop a few ibuprofen tabs and keep reading – because today I’m going to show you the very same webinar framework LinkedSelling has used to get thousands of new clients and generate millions in revenue. This article will introduce you to LinkedSelling’s Webinar Client Funnel, a 6 component process that covers all the bases you’ll need to think about before, during, and after building a webinar that generates new prospects and clients for your business. Let’s dig into each of the Webinar Client Funnel components one by one. The attraction component is basically your plan for getting the word out and attracting people to sign up for your webinar. The great thing here is that your options are wide open. Literally any marketing activity that has produced good results for you can be used to successfully attract people to your webinar. For instance, you can use email marketing, LinkedIn posts, Facebook ads, Twitter ads, LinkedIn ads… even LinkedIn messages to reach out to your connections. If you’re a member of The Appointment Generator, you already have a tremendously powerful attraction system at your fingertips that works GREAT for webinars. There’s no limit to the ways you can attract people to your webinars. The screenshot below will give you some ideas. The important thing is that you create an attraction plan and then follow through with it. Whichever attraction method you use, you’ll need to come up with a messaging plan to warm people up to attending. We call this warm-up process indoctrination, and it’s all about building a relationship, agitating the “pain” a bit, and make a case for your solution and your offer. Craft your messaging campaign carefully to prime the relationship and ease into your offer. Build value, show the future benefit to them, and get them excited to see what’s next. 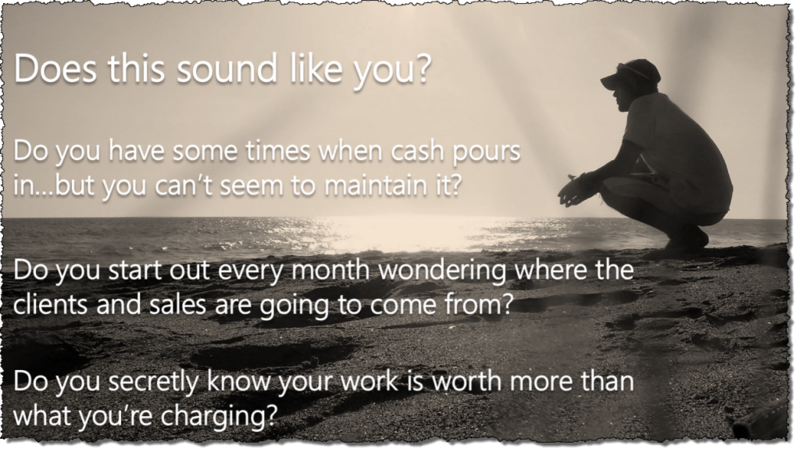 You’ll find that when you take the time to do this the right way instead of just pitching, people will be much more receptive to your offer – and your webinar attendance will be MUCH higher. Speaking of attendance, that moves us right into our third phase – consumption. Simply put, consumption means getting the people who signed up to actually show up to your webinar and to stick around to hear what you have to say. When scheduling your webinar, take into consideration who your attendees are, where they live, and what time zones they’re in. Do your best to offer your webinar at times that are most convenient for them. It seems so simple, but a lot of people forget to work reminders into their messaging campaigns in the attraction phase. Work a simple “don’t forget… it’s tomorrow” or, “the webinar begins in just 2 hours” reminder or two into your messaging campaign to help those folks who might have forgotten. When you automate your webinars, you have the luxury of setting a schedule that’s convenient for your attendees. You could, for instance, offer an automated webinar every Tuesday and Thursday at 1pm, 4pm, and 7pm… or any schedule that fits your audience. By offering a bonus at the end of the webinar, you’ll see a big increase in the number of people who stick around until the end. Mention the bonus in your messaging prior to the webinar, and bring it up and emphasize it again early in the webinar itself. During the webinar, tease interesting topics that are coming up soon to keep people interested and in their virtual seats. You know how TV shows hit you with something big or something that raises your interest right before they go to a commercial? Same idea here. Right now, we’re going to cover Topic A… and up next, we’re going to tell you about (Topic B) which can (benefit) for you… so stick around for that. Creating a variety of slide formats helps make your webinar more interesting and keeps people in place until the end. Switch up the design AND the content. After a lot of slides with bullets, graphs, and figures… throw in a quote slide, or a personal picture slide, or a case study slide that you can tie into your topic. Give your attendees a visual and mental change of direction every once in a while throughout the webinar. The content phase of the Webinar Client Funnel includes a lot of detail and strategy. I’ll cover the main ideas in this article. And at the end of this post, I’ll tell you how you can get all the details on the whole funnel including the entire content phase. There are three main components to creating awesome webinar content that converts, and your first step is to begin with the end in mind. 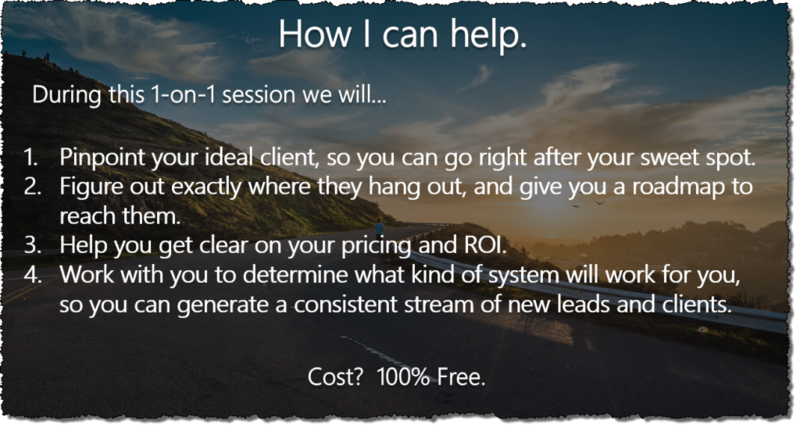 The purpose of a leads webinar is (as you might guess) to generate leads. This normally takes the form of scheduling some sort of call or consultation. Sales webinars are for those businesses who already have several products or services in their value ladder and want to sell them on the webinar. After you’ve decided which type of webinar you’re holding, you’re going to want to choose a name of your webinar that resonates with your intended audience and shows them the benefits of attending. At LinkedSelling, we name our webinars using what we call our IPO Title Formula. Identify your prospect in the title; Paint a pretty picture of the state of your customer after they apply what you teach; and Overcome an objection in the title by picking one thing a potential attendee might use to talk themselves out of attending and address it. Use this formula to create and test multiple titles to find out what converts best for you. Once you’ve chosen which webinar type will best have you achieve your goals, and you’ve chosen a title that speaks to a pain (and an outcome) that resonates with your audience, you’re ready to begin creating the rest of your webinar content. Early in your webinar, you want to set the stage and create some excitement about the content you’re about to share. The best way to do this is to just come out and tell your attendees what they’re about to learn. People buy based on a mixture of logic and emotion, so as you create your webinar, you need to purposefully include both in your content. When you include emotion, show your attendees that you understand where they’re coming from. Demonstrate that you empathize with their challenges and frustrations. And then share some content that teaches them a logical method of overcoming those problems. At LinkedSelling, we use a webinar format we call The ITI Webinar that shows you exactly how to create the perfect mix of logic and emotion to maximize the impact of your webinar content, keep your attendees with you until the end, and convert more clients at the end. It’s a fairly extensive strategy, so I won’t be covering it in full detail here, but at the end of this post, I’ll tell you how you can get access to not only our full Webinar Client Funnel strategy… AND many of our other most productive marketing strategies. Once you’ve created all of your webinar content, you need a compelling CTA, or Call to Action. What is it that you want your attendees to do or take action on? 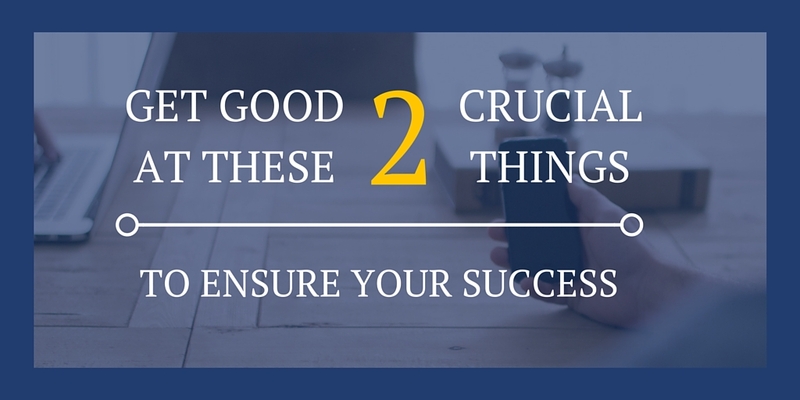 If your goal was to schedule consultations, then your CTA will be built around that. If your goal was to sell a product, then your CTA will focus on getting your attendees to make a purchase. Regardless of the goal of your webinar, you MUST frame your CTA in a way that frames your offering as a tremendous value to your attendees and a VERY good use of their time. When creating your offer, remember that you HAVE to build value enough that your attendee really wants your solution. Consider using social proof in the form of a 3rd party endorsement in your offer, or share a short case study outlining how much your offer helped one of your clients. Your offer should convince them that your offer will help them, get them emotionally on board with the positive outcome they’ll enjoy because of your offer, and feel like a low risk, high reward situation. Don’t let the technology component of this trip you up or prevent you from moving forward. If scheduling apps and different payment processing methods confuse you or stress you out… forget about them. Use pen and paper for scheduling if you have to, and PayPal for processing. You can upgrade your technology later. Right now, your goal is building a webinar that brings you new clients. For now, don’t sweat the tech. A lot of people make the mistake of thinking the selling process ends when the webinar ends. The truth is that if you do a good job at following up, nurturing, and ascending – MOST of your results will come AFTER the webinar is over. The key to getting the most out of your webinar is having a strong post-webinar plan in place. Following up with those who attended, but didn’t take you up on your offer. These people are sincerely interested in your offer, but for whatever reason haven’t pulled the trigger just yet. A good follow up process can turn these people into clients. Nurturing those who aren’t ready to take action yet. Some people just aren’t in a place to make a decision right now. If you nurture these people over time, build trust, and show them the value you can bring to them… then when they ARE ready to make a decision, they’ll think of you. Ascending the people who did say yes to your offer to the “next level.” After they’ve experienced the benefits of your offer, you need to show them the next step… the next thing you can help them with. Don’t make the mistake of neglecting the “after webinar” period. Like I said before, if you have a good plan and execute well, most of your results will come after the webinar is over. Using the overview of our Webinar Client Funnel in this article will help you create a webinar that performs well for you, but it’s really just a snapshot of the whole funnel. There are a lot of additional details and strategies that we use to get the best results possible that frankly won’t fit in a blog post. 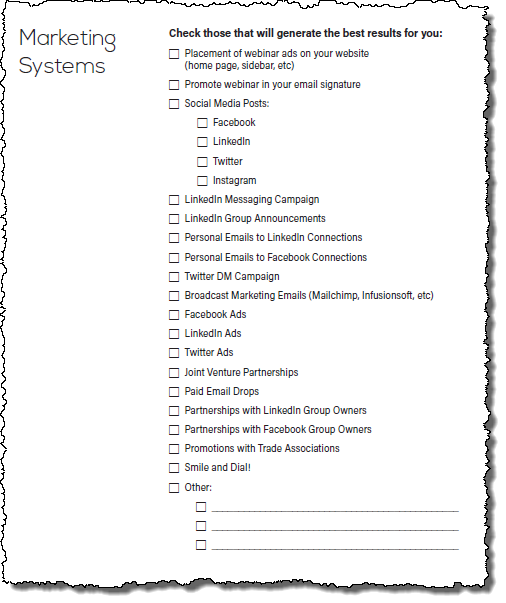 But no worries – here’s a way you can get every detail of our Webinar Client Funnel… and a LOT more. If you’d like lifetime access to my presentation of The Webinar Client Funnel from Ascend 2016 PLUS every other presentation, every strategy, and every speaker from the full 3-day event… you can find all the details on how to get that here. And if you have, can you see how following The Webinar Client Funnel might make it much easier and more manageable next time? Let’s talk about it in the comments.